By William V. Melega M.Ed. The chronicle of the world's civilizations is reviewed to the present era. The manual concludes with two full-length model tests with all questions answered and explained. 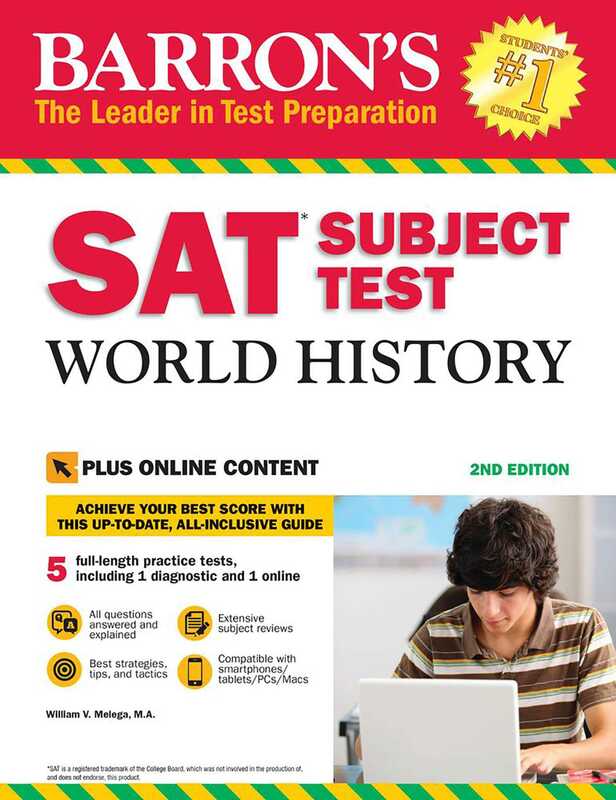 ONLINE PRACTICE TESTS: Students who purchase this book will also get access to one additional full-length online SAT World History test with all questions answered and explained. The online exam can be easily accessed by computer, tablet, and smartphone.